How Do I Tell the Kids about the Divorce? A Create-a-Storybook Guide to Preparing Your Children -- with Love! Based on Rosalind Sedacca’s own experience, this unique ebook for divorcing parents doesn’t just tell you what to say – it says it for you! The fill-in-the-blank templates guide parents in creating a storybook sharing family photos and history as a successful way to break the news to their children – and prepare them for the changes ahead with love! No other book provides a template for creating a personal family storybook that prepares kids for the changes ahead. The book sends 5 essential messages to children, via pictures and age-appropriate language, that are crucial for them to hear, understand and accept. Six professional therapists contribute their expertise to the book, validating the concept and adding valuable advice based on real experience with their patients. Easy to customize and enthusiastically endorsed by divorce professionals world-wide. Just $37 -- including 4 bonuses valued at more than $180! I’ve faced many difficult moments in my life. But preparing to tell my son that I will be divorcing his father was absolutely one of the worst. He, after all, was innocent -- a sweet eleven year old who loved his father and mother dearly. He certainly did not deserve this. I struggled with anxiety for weeks in advance. When should we tell him? How? And what should we say? How do you explain to a child that the life he has known is about to be disrupted – forever? How do you tell him that none of this is his fault? And how do you prepare him for all the unknowns looming ahead when you’re not sure yourself how it will all turn out? One night in bed at 4 a.m. a thought came to me that resonated in a powerful way. What if I prepared a photo album for my son that told the story of our family in pictures and words? And what if it spanned from before he was born right up to the present, preparing him for the new changes ahead? The storybook concept gave him something tangible to hold on to, and read again and again. It would explain why this was happening and what to expect. And, rather than stumbling through an awkward conversation, it would give me a written script that was well thought through in advance. The idea still had merit the next morning and so I moved ahead in this new direction. When I completed the storybook and showed it to my husband, he approved. It was neither judgmental nor accusatory. Instead it told the truth while focusing on messages of mutual agreement – the love and concern we both had for our son. While my husband was angry with me about many issues, he agreed the book was well done. We decided to present it together. The dreaded day came, and as I started reading about changes, tensions and disagreements in our family, tears pooled up in my son’s eyes. By the time I reached the end, he was weeping uncontrollably and clinging to both of us tightly. And then, as a family, we talked, cried, hugged, answered questions, reread important passages and consoled one another. The deed was done. And somehow, having the book to hold on to was helpful for my son as well as for us. We discussed the impending divorce many times in the next weeks and months. Sometimes we reread sections in the book as a reminder that things will be okay. It’s been more than a decade since I prepared that storybook. I’ve used it as the basis for my new book, How Do I Tell the Kids about the Divorce? A Create-a-Storybook Guide to Preparing Your Children -- with Love! The book provides fill-in-the-blank templates so other parents can customize with their own family story and still have the essential messages they want to share with their children when the family is facing divorce. I’ve also founded the Child-Centered Divorce Network where parents can find free articles, my ezine, blog, coaching services and other valuable resources about divorce and parenting just when they need it most. Visit www.childcentereddivorce.com to see it all. I’ve since remarried, and my son is now a grown young man. In fact last year he got married himself – and his father and I were both there to celebrate this most joyous occasion. It was a happy ending that I can only wish for every family ever facing divorce. Most important of all, my wonderful son became a veterinary cardiologist and is still very close to both me and his father. When I asked him to write the Introduction to my new book he said he was deeply honored. Of course, the honor was really mine! Reading his kind, sincere and compassionate words brought tears to my eyes. He thanked his Dad and me for handling the divorce in the best possible way and knew he was very fortunate in that regard. He acknowledged the way we co-parented him and offered his enthusiastic endorsement for my book and its child-centered concept. There is nothing more gratifying for a parent than to have your grown-up child acknowledge you as a parent. It’s the ultimate reward and for me was one of the most fulfilling moments in my life. I pray that other parents coping with divorce can ultimately enjoy that same experience with their children! Of course, until my son becomes a parent himself he’ll never quite understand just how much every word he wrote really means to me! "Rosalind Sedacca's 'How Do I Tell the Kids about the DIVORCE?' is a much needed breakthrough in the emotional minefield that parents traverse when they prepare their children for an impending divorce. The template, storybook strategy sends sensitive, kind, loving and safe messages, which every child needs as they prepare for the scary unknown. I recommend her book for everyone who has children and is contemplating divorce." Rosalind Sedacca has just improved the lives of countless children. I have practiced divorce law for 44 years and will attest to the importance of how children are introduced to their parents’ divorce. While we all did the best we could, few of us were ever confident that we assimilated the children into our divorce in the very best way possible. We can now rest easy. How Do I Tell the Kids about the Divorce? gives us something simple and sound to rely upon. There is absolutely no downside to Rosalind’s storybook concept. It’s all good and it beats anything else that I’ve come across. In fact, it’s great and it is definitely something that the world has needed ever since divorce was invented. The book is a winner and it is also a lifesaver. Rosalind’s brilliant book’s non-judgmental, compassionate and no-nonsense approach will resonate with all divorcing parents – even those with the most challenging relationships. It is a critical piece of the divorce puzzle, and a must read! I will recommend this book to every one of my mediation clients who have children. "How Do I Tell the Kids about the Divorce? is a unique, user-friendly guide for parents who want to broach the subject of divorce with their children in the most caring and thoughtful way. I commend Rosalind for her ingenuity and creativity in helping to reduce the trauma of such a difficult subject." I have been doing divorce & custody law for 18 years and am presently a custody mediator for Lehigh and NorthamptonCounties in PA. I found Rosalind Sedacca’s book to express the essence of having parents and children still retain their love and respect for one another through preparing a storybook that keeps the fabric of their family as one. Every divorcing family should use this book. On behalf of divorcing parents and my self, heart-felt thanks goes to Rosalind Sedacca for creating her brilliant book! It is a gift beyond measure for divorcing parents, which I recommend regularly to my clients and radio audience. Within its pages is critical information you need to know, and a masterfully created storybook template to share one of life’s most difficult transitions, divorce. Owning this book will bring you clarity, courage and wisdom! I highly recommend "How Do I Tell the Kids about the Divorce?" The issue of divorce is pervasive and this user friendly guidebook is good for both children and parents. Its style is non-judgmental and helpful, full of practical, easy to understand advice that anyone can use. It is a healing balm based on the author's own experience which is crucial to empathizing with those going through the same experience. As a State Certified Family Mediator and Psychotherapist, I cannot emphasize enough the importance of having such an easy to use tool for a very challenging situation." At last! A breakthrough “hands on” divorce guidebook brilliantly designed to help soften the divorce announcement blow for children. This book is a MUST for any divorcing parent who wants a humanistic approach to telling their children. “Heads up” to guidance counselors, religious leaders, family therapists, and child-care advocates. This book is ideal to use in individual therapy, group classes and parent conferences and is bound to help thousands of children. The family photo’s and messages reinforce the concept that their parents really do care about them. How Do I Tell the Kids about the Divorce? is written with deep compassion and understanding for children whose parents are divorcing. It is THE must-have “resource” guide for parents struggling to tell their children about a divorce. The book includes clear directions, creative suggestions and excellent information regarding children’s legitimate fears and upsets. Rosalind provides all the support parents could need to dig down deep and tell the painful truth about their divorce to their children. Bravo! 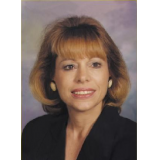 Rosalind Sedacca has invaluable information to share with divorcing parents. I believe in her book so strongly that I have added her as the only link on my website! There is no other book like hers. There is no other book a couple needs to help them with the most difficult conversation a parent can have with a child, that their parents are getting divorced. You are VERY lucky to have found my partner in the peaceful divorce movement. One of the biggest challenges of my divorce was trying to figure out how to tell my 5 year old son. I was terrified and didn’t even know where to begin until a friend gave me this book. What a savior! Not only did the book explain the concept, but actually gave me a template to work from. I found that putting the scrapbook together for my son was good for both of us. I know my son will continue to have questions as he grows up and I feel good knowing that he has a solid reference to turn to whenever he needs it.